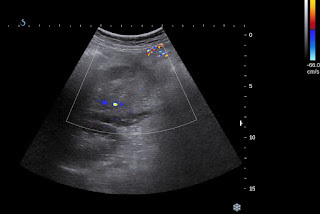 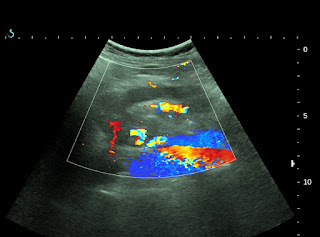 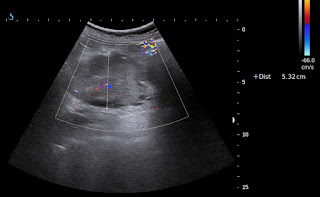 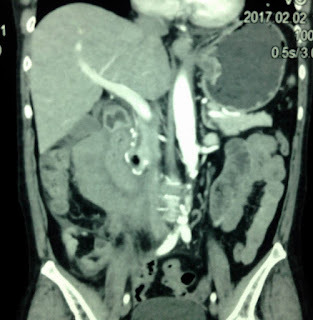 VIETNAMESE MEDIC ULTRASOUND: CASE 416: RETROPERITONEUM HEMATOMA, Dr PHAN THANH HAI, VNT NHAN, NT TRANG,TC QUYEN, MEDIC MEDICAL CENTER, HCMC, VIETNAM. 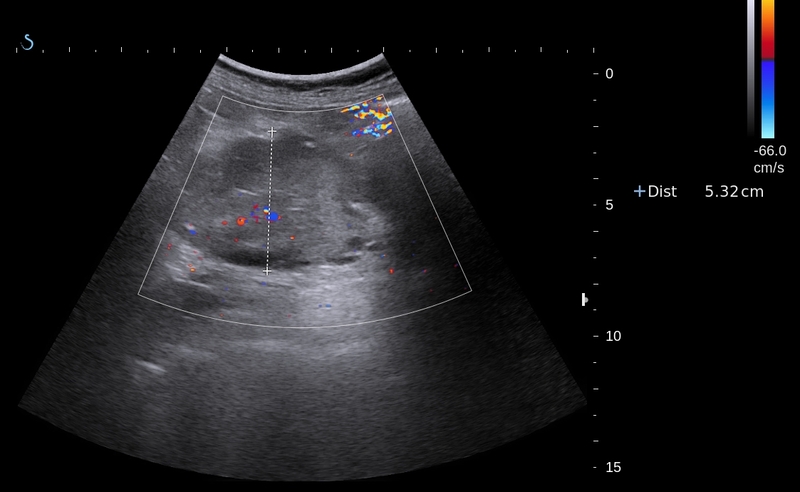 CASE 416: RETROPERITONEUM HEMATOMA, Dr PHAN THANH HAI, VNT NHAN, NT TRANG,TC QUYEN, MEDIC MEDICAL CENTER, HCMC, VIETNAM. 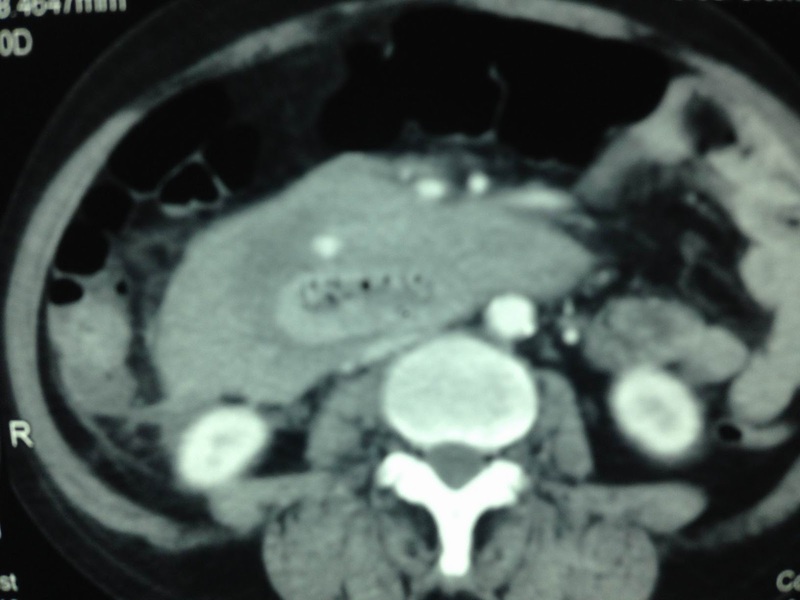 US of abdomen detected one retroperitoneum mass near the head of pancreas, looked like hematoma ( US 1, US 2 ,US 3). 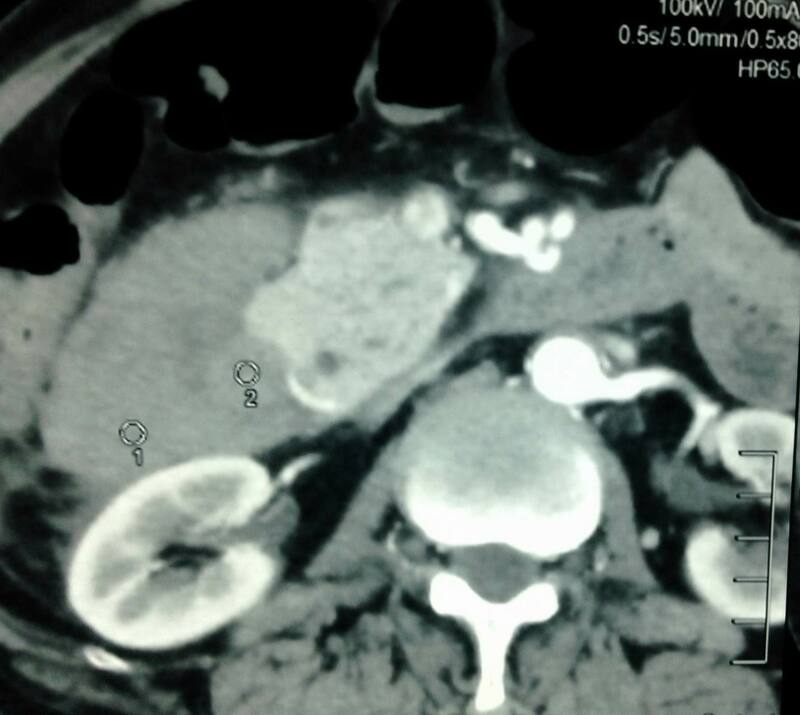 MSCT with CE confirmed this mass is retroperitoneum hematoma, maybe due to rupture from a small aneurism of gastroduodenal artery (CT1, CT 2, CT 3 CT 4 3D reconstruction). 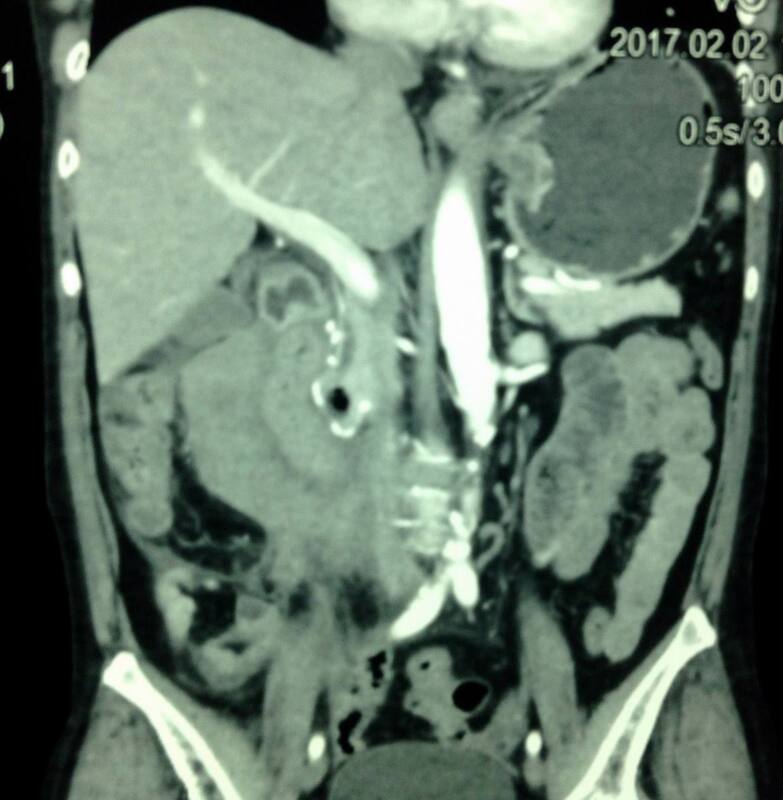 Emergency DSA detected the abnormal.variation of hepatic artery and small aneurysm of gastroduodenal artery had stopped bleeding. 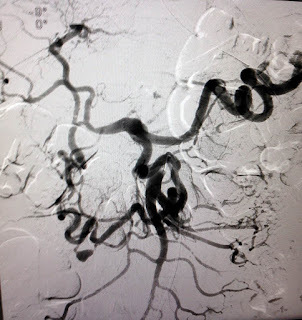 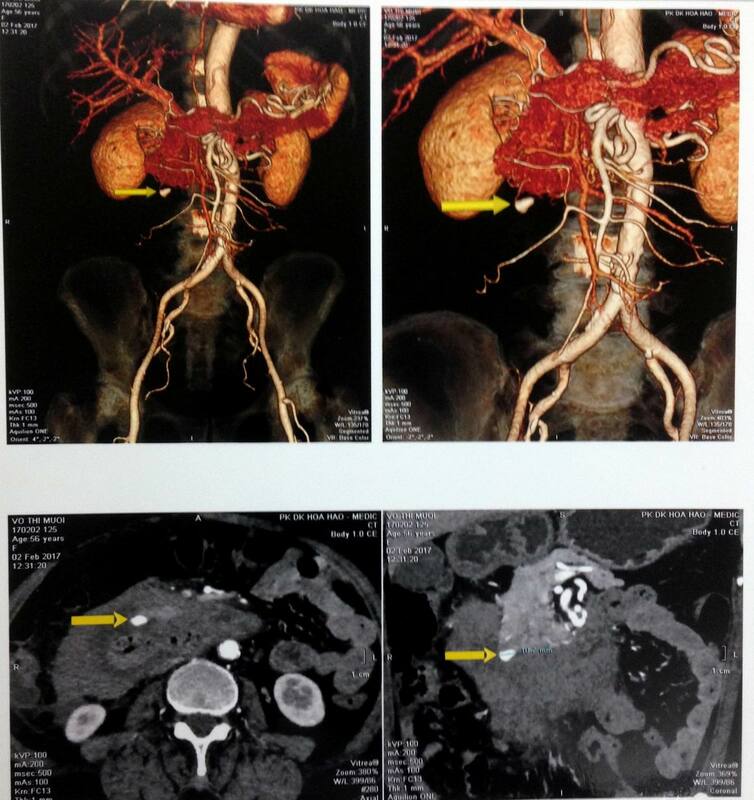 Survey this case for Hct dropped to 25% and operation for control bleeding by ligation this small ruptured aneurysma . 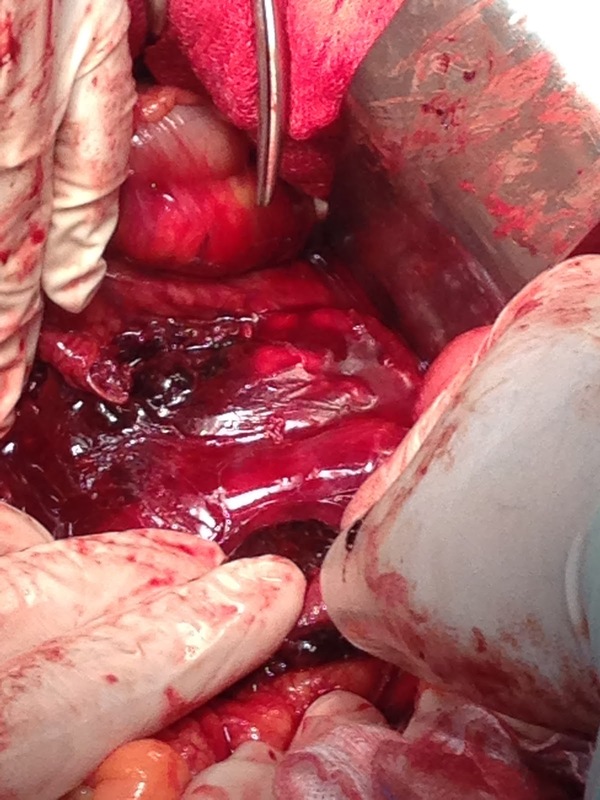 Post-Op is in well recovery . Conclusion: Easily diagnosed ruptured retroperitoneum aneurysm by combining of ultrasound, CT and, DSA.